- 20th Century Fox has bought the film rights to Wolf Brother and Ridley Scott will direct it. - the Book was adapted for BBC radio 4 by writer, Ivan Jones , in 2006. This well-researched work of fiction is for everyone. The story is a trip back to what might have been a fantastical past wrought with magic, danger, and discovery. This back-to-ancient-times story for younger generation gives you an opportunity to stow away from the now abundant magical novel as this novel present a new kind of experience. 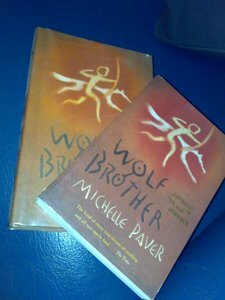 The adventure begins when Torak and his father, considered outcasts, encounter a bear believed to be possessed by a demon. Unfortunately his father didn't survived this encounter that lead to a promise that Torak will do everything in his power to avenge his father's death. To do so he must go to the north to find the Mountain of the World Spirit, and ask the World Spirit to help destroy the bear before it kills all life in the Forest. 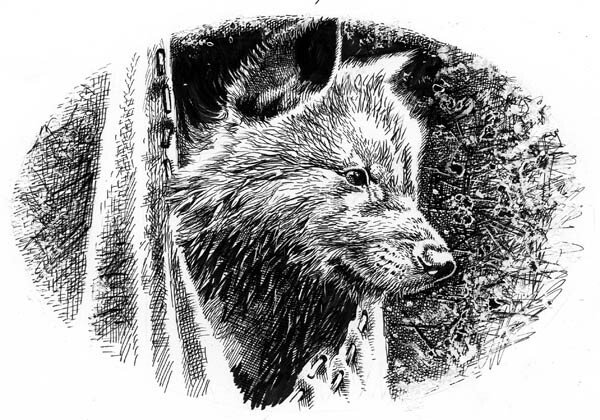 Along the way Torak found a wolf cub, whose family has been killed by a great river flood. There Torak decided to adopt the cub and bring it along his journey. Months passed and as Torak nears his destination, the cub grows into a majestic wolf. They become closer to each other forming a stronger bond. They meet many tribes along the way, which bring about fights, scary moments and accusations. In these episodes he meet Renn, which helps him in a certain event and decides to join the journey. Forward they go and finally they reach the Mountain of the World Spirit. In an instant the possessed bear face them and the great battle between Torak and the bear begins surprisingly that ends in a memorable triumph. This is a fresh story for it is unique. Only a few ventures to this type of saga for children and Paver has hit the mark. This series opener promises greater adventures to come.